According to RBR London, e-commerce spending is expected to double over the next five years. By 2020, it should reach $5 trillion. To be successful, e-commerce businesses must have a high-risk merchant account to handle credit card transactions, and they must also collect customer data and use it effectively. Take a look at the challenges of customer data and what you can do about them. Customers want a seamless and customized experience when shopping on an e-commerce website. They want to be able to switch from one device to another and still have access to such things as their shopping cart and purchase history. To create the best possible experience for the customer, the merchant needs to collect the right data and make it actionable. As a merchant, you should keep track of the type of marketing that each customer best responds to, the devices most commonly used, and payment information. Then, you should use this information to customize the experience for your client. This creates loyalty and minimizes the chances of a customer committing fraud against your e-commerce business. Fraud is a major concern for e-commerce businesses. When customers have an issue with something they’ve purchased, they often escalate the problem straight to the bank instead of trying to work it out with the merchant. This leads to chargebacks, some of which may be illegitimate. You must be prepared to fight fraud by collecting customer data during the checkout process. With the proper data, you can prevent chargebacks and recover revenue when fraud does happen. The problem with collecting data is that many customers do not want to create an account or provide any extra information during checkout. This makes it difficult for you to obtain the information you need, but you can lose out on potential revenue if you refuse to sell to customers without an account. Chargebacks can be very expensive for merchants. They can make or break an e-commerce business. Merchant account providers will often cancel accounts of companies that have too many chargebacks, forcing those businesses to obtain high-risk merchant accounts. Most e-commerce businesses do not perform enough manual reviews of transactions because it is costly and time-consuming. However, failing to conduct these reviews can lead to false positives when determining fraudulent activity, which can cause a merchant to lose business. The more customer data you collect, the easier it is to perform manual reviews and to detect fraudulent activity before it is too late. Fraudsters know how to manipulate the situation for their benefit and often try to make purchases during high-volume sales or hours when there is less chance for manual reviews. If you own a business with a high risk of chargebacks, you should implement more manual reviews to maintain your good status with your merchant account provider. You can hire out manual reviews to a third-party provider if you don’t have the in-house manpower. Collecting customer data is the best way to ensure that you create a good customer experience. It is also your best defense against fraud. 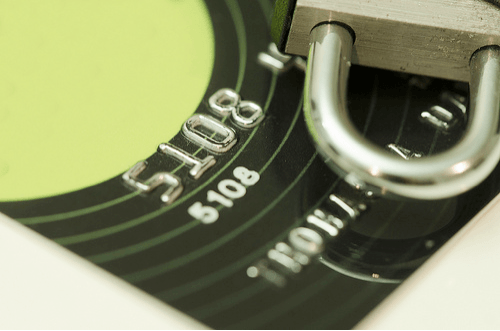 A high-risk merchant account can also offer you more scrutiny of, and thus prevention of, potential fraud.